2017 was a big reading year for me. I started this blog in August of 2017 and since then, I have gotten so much out of being able to share my thoughts with other people. Who would’ve thought that this blogging thing would be so much fun! 2017 was also the year that I started my first semester of college and went through a lot of change. That means that I didn’t read as much as I wish I could have. Nonetheless, I know that life happens and it’s not a big deal because it’s important to not make reading a chore; it should be fun! I don’t have a definitive number of books I read this year, but I’m going to be better at keeping track of my reading in 2018. Looking back, here are some of the books that stood out to me the most this year. They aren’t in any particular order. This has turned into one of my all-time favorite books. It is a wonderful story about a young boy named Daniel who picks out a book called, The Shadow of the Wind by Julian Carax, from the Cemetery of Forgotten Books. He realizes that someone is out to destroy all of Carax’s books and is brought into an intense journey of figuring out who it is and stopping them. This is a magical, historical, thriller set in 1945 Barcelona, Spain. Read this book if you are struggling to deal with your grief over someone you lost. A Monster Calls hit me so hard in the gut and I know I will have to pick it up again. It’s not an easy read, but it’s a worthwhile one. It follows a little boy named Conor and his seriously ill mother. Conor has had a monster outside of his window ever since his mother’s treatments started and it won’t leave until it gets what it wants. This is a magical, Russian, fairytale, story about an independent girl named Vasilisa. The stories told by the fireside are real and there are spirits all around that only Vasilisa and her mean stepmother are able to see. Vasilisa must use her special gifts and courage to go against her loved ones to stop the threat that could harm them all. It’s best to go into this world a bit oblivious, but I promise you won’t come out of it without feeling mystified. This is a heartwarming tale of friendship and faith. It is about a little boy named Owen Meany who hits a foul ball that kills his best friend Johnny’s mom. However, Owen believes that he is God’s instrument and that everything happens for a reason. This story follows Owen as he becomes a heartfelt hero. The characters in this book are written so in depth that they won’t ever leave you. This book caught me by surprise, but it was truly beautiful. This book follows Ifemelu and Obinze, two lovers who leave Nigeria because of a military dictatorship. Ifemeulu goes to America and Obinze goes to the UK. The story recounts their journeys as they deal with the hardships of being in a new country and being apart from each other. I loved the sections with Ifemelu because of how clever and witty she is and Chimamanda’s writing in this book is so easy and fun to read. I am without a doubt going to pick up more of her books. This is a historical fiction book that takes place in France during World War 2. It follows two polar opposite sisters and everything they do to fight against the Nazi’s during the war. I liked this book because most World War 2 books are about the men in battle, but not many recount the hardships that the women had to face on the homefront. The reason this book made the list was because of how blown away I was at the challenges the two women face. I couldn’t put this one down. Christmas is coming up very soon and if you are trying to find a last minute gift idea for a strong woman in your life, then why not get her a book? When I think about strong women in my life, I think about my mom and my grandma because they inspire me to work hard. I’m sure whoever you think of in your life, would love to read about inspirational women like themselves. Here is a list of books with a strong female character that is brave, resilient, and everything in between. This list contains nonfiction and fiction because even fictional women characters can be inspirational. I have read some of these, but not all of them. Some of them are ones I hope to read in the future. This is a powerful biography about Malala’s life before and after she was shot by the Taliban for speaking out for girls’ education. I got a lot out of this book and learned a lot about Malala’s activism and about the history of Pakistan. Malala was the youngest Nobel Peace Prize laureate at age sixteen and continues to advocate for the right for girls to get an education. She also has a movie called I am Malala that was very good. This is Cheryl Strayed’s story about how she hiked The Pacific Crest Trail alone in order to deal with her mother’s death. This book chronicles all of the challenges that she faced on her hike and how it ultimately healed her. I actually watched the movie before reading this and it made me want to pick the book up so I would definitely recommend the movie as well. This is about two women living in Kabul, Afghanistan who form a close fond. It deals with their struggles with family, war, and loss. I have seen a lot of really good reviews for this, so I’m expecting to like it a lot. I also read Hosseini’s other book, The Kite Runner, and loved it. This one is pretty obvious. I think everyone has heard of Anne Frank and at least a little bit of her story with the Holocaust. I feel like it’s about time that I finally read her diary. She was definitely very inspirational. This book follows the life and struggles of a girl named Maya who has to deal with the feeling of abandonment from her mother and an attack from a man much older than her. This is a story of personal growth and how Maya learns to love herself. This would be the perfect gift for any Maya Angelou fans. Hopefully, this list gave you some good ideas about what to gift someone in your life who has inspired you! Thanksgiving Break is here and that means more free time. If you’re a book nerd like me, then that free time will probably be largely taken up by reading. One of my favorite genres of book is historical fiction, and I think it is the perfect genre to read in autumn. Here are some of my favorites. Hopefully, they will help you find a good story to settle into over break. 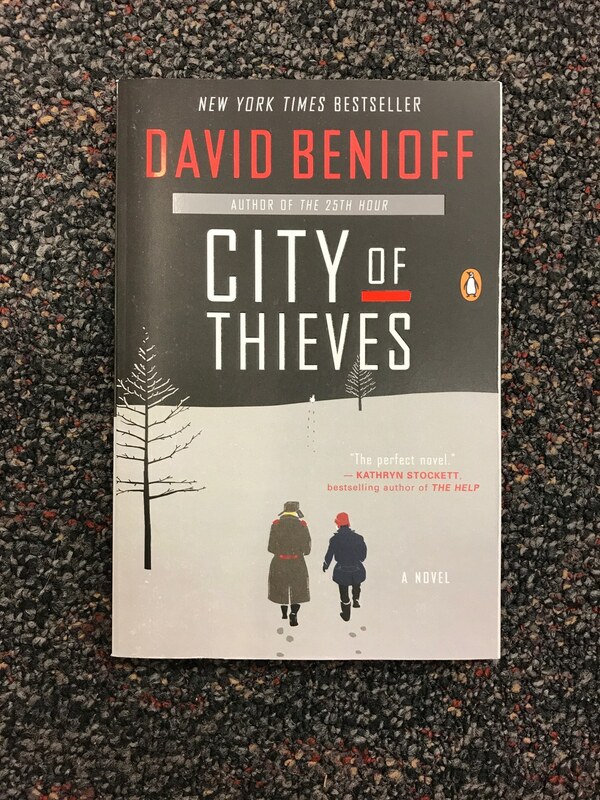 This book is set during the siege of Leningrad in World War 2. It follows two boys, Lev and Kolya, as they journey through the lawless and dangerous Leningrad to deliver a dozen eggs to a powerful Soviet colonel in exchange for their lives. I could not put this one down. I didn’t go into it knowing that much, except that it sounded interesting and odd at the same time (delivering eggs?). The story was intense and eye opening to just how bad the situation in Leningrad was. If you want something quick and engrossing pick this up. This book takes place in Nazi-occupied France and follows two completely opposite sisters. They struggle to survive and resist the Germans who have taken over their homes. This book was a good representation of the hardships women during the war had to face. A lot of the time, their stories are overpowered by the stories of men in battle, so it was nice to read about their hardships and how they persevered. If you like reading about strong and empowered women, then this is the book for you. Also, I don’t have a sister, but I feel like this book would be very relatable to someone who does. I will admit that at the beginning of the story, I was convinced that I wouldn’t like it, but as I got to the end, I changed my mind and ended up really enjoying it. It was quite inspirational in a lot of ways. Side note: I just learned that this is being turned into a movie, so definitely read the book before watching the film! This book also takes place in France during World War II. It follows the journeys of two very different children and a couple of other interesting side characters. One of the main characters is a blind girl name Marie Laure who lives in Paris but flees to Saint Malo with her father. The other character is a boy named Werner who is a Hitler youth. Their paths end up colliding in an intricate and well-planned way. This book is so detailed and great that I can’t imagine how difficult it must have been to write. 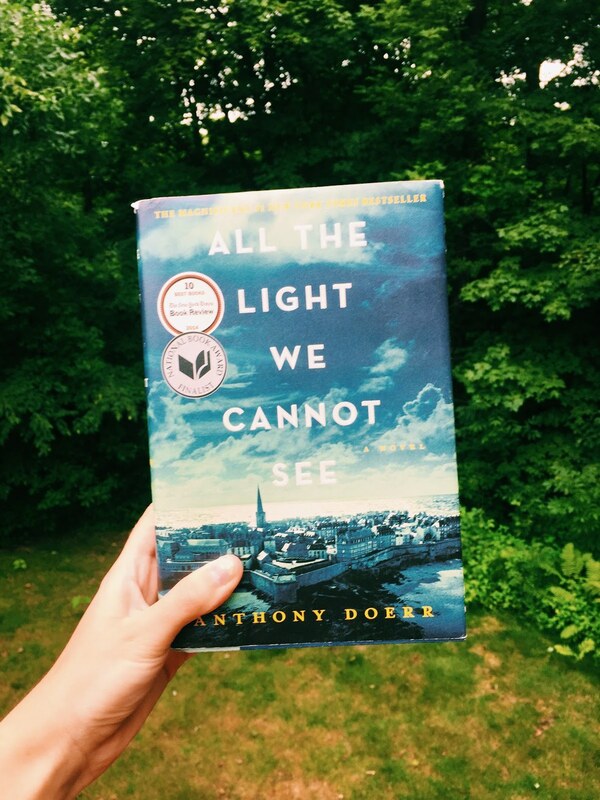 The author, Anthony Doerr, won a lot of awards for this novel. You should read it if you want something that will make you think a lot about human nature and technology. I would describe this as a historical fiction thriller. It is good to go into this not knowing too much, but I will tell you the very basic plot. It takes place in 1945 Barcelona and follows a boy named Daniel. 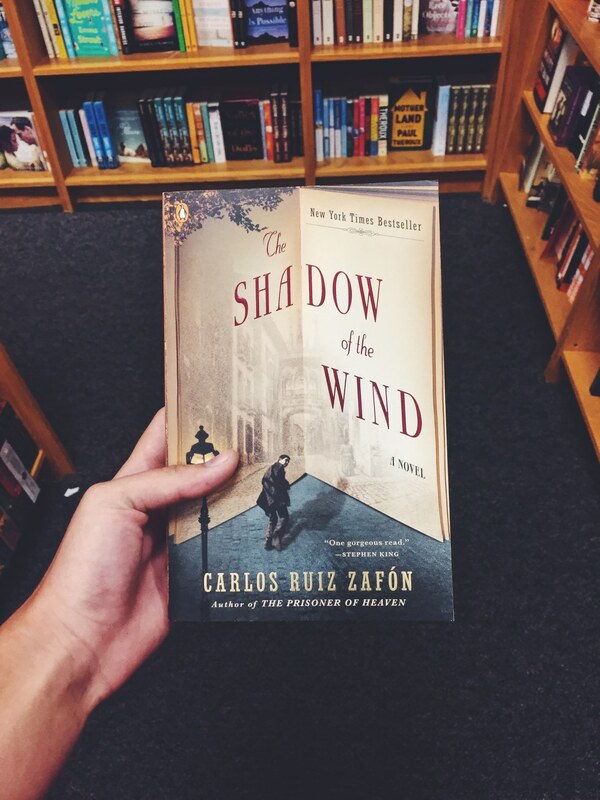 On Daniel’s eleventh birthday, his dad takes him to the Cemetery of Forgotten Books and Daniel picks out a book called the Shadow of the Wind by Julian Carax. Daniel is tasked with protecting this book, but there is someone trying to systematically destroy all of Carax’s work. Strange and dark things continue to happen and the mystery is drawn out in an epic tale. This is one of my very favorite books. As I was reading this one, I knew it was going to turn into my favorite and it’s very hard to put into words how I feel about something I liked so much. I find it much easier to talk about a book I either hated or kind of liked. The writing was beautiful, the plot was unguessable, and the characters were very real. It was a very dark and epic adventure. This was originally written in Spanish, so if the book was this good translated, then it must be even better in its native language (sometimes things can get lost in translation). I would be very surprised if you haven’t heard of this wonderful book yet, but if you haven’t, then here is the synopsis. This story takes place in 1939 Nazi Germany and is narrated by death (coolest concept ever). It follows a foster girl named Liesel Meminger as she steals books, learns to love reading, and takes care of a Jewish man in her basement. This is one of those books that you will never forget. It gives you all of the feels and leaves you gutless. 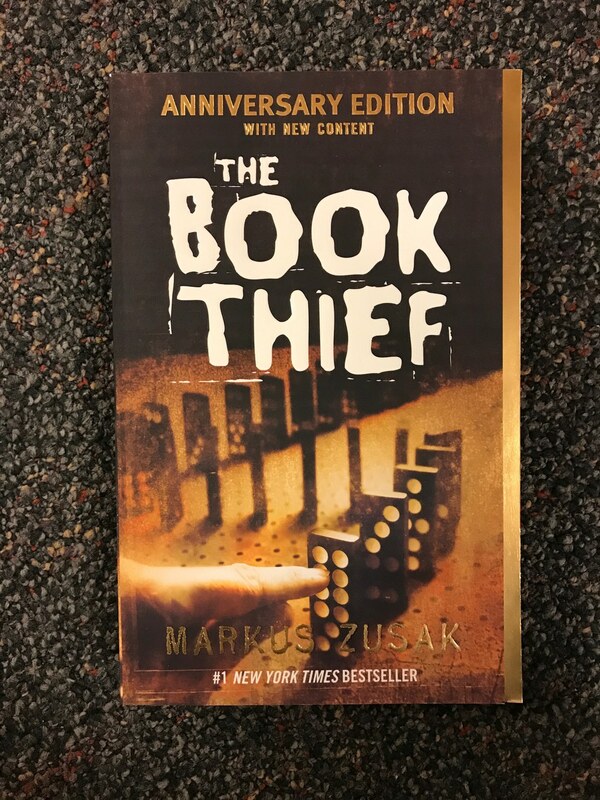 The Book Thief is a classic that everyone should read. 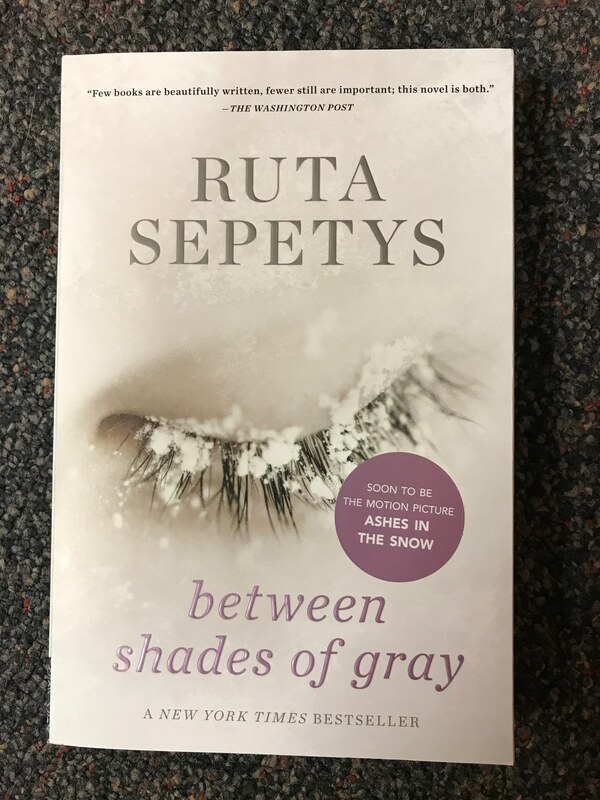 This book takes place 1941 is about a Lithuanian girl named Lina, who is forced, with her mother and brother, onto a dirty Soviet train car and shipped to the Arctic Circle to work in a labor camp. This book shows what life was like for Lithuanians who were forced by Stalin to toil in extreme cold and cruel conditions. I cried the first time I read this and chances are, you will too. It is so heartbreaking, but it is a story that needs to be told. I had no idea about this part of history before reading this book. This is a quick read that you won’t be able to put down. 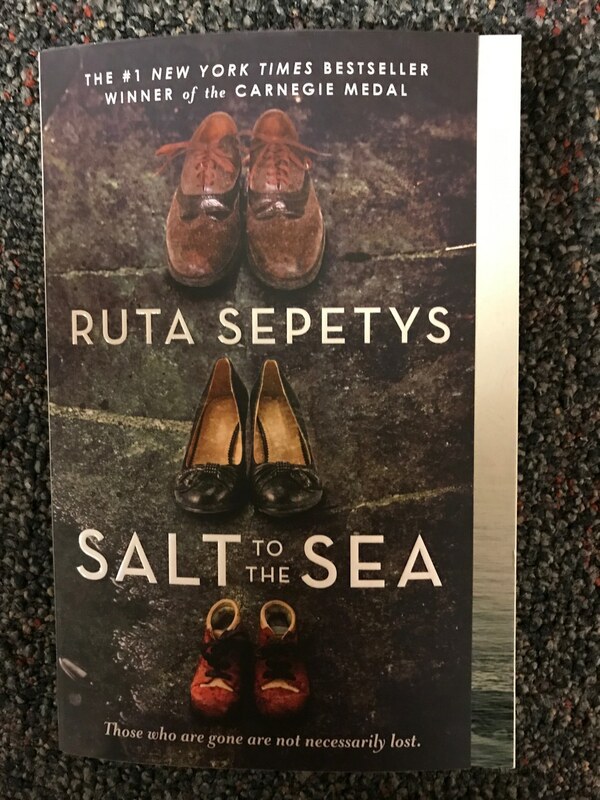 Ruta Sepetys likes to write books about historical events that have been lost to history, and this is another great one of hers. I think I liked this one even better than Between Shades of Gray. It is about the sinking of the Wilhelm Gustloff during World War II. Most people know about the Titanic, but not so many know about the Wilhelm Gustloff. This is odd considering it was the worst maritime tragedy in history. Ruta is so good at writing amazing characters. Their stories and personalities seem so real. In this book, we follow four main characters, but there are also great side characters as well. The layout of this book reminds me a lot of All The Light We Cannot See because of how well all of the characters’ stories intertwined. She even brings in characters from Between Shades of Gray. When I finished this book, I could not stop thinking about what I had read for the longest time. I think that’s a sign of a good book. Thank you so much to Abigail’s Books for nominating me for this award! Go check out her awesome blog! Select 15 other bloggers you want to give this award to. Comment on each blog and let them know you have nominated them & provide the link to the post you created. I first started this blog in July this summer. Before I took the leap to start blogging, I had been watching booktube for a really long time (probably about 2 years). Seeing so many people excited about reading and books made me get even more into reading than I already was. I have always been a bookworm, but I definitely think that booktube started making me increase the amount that I read. During those 2 years, I started a failed bookstagram account as a way to try to join the community without getting on camera and I also debated starting a book blog, but never did. Finally, this summer I decided to just go for it and make a book blog and bookstagram. I had a lot of time on my hands and figured that if I have been watching booktube for so long, then it was probably time I joined in on the fun. Overall, I’m just so glad that I took a chance and created my platforms to talk about books because I have found a lot of great booklovers and I love writing posts. I feel like I have improved a lot with finding my voice in writing even though I know that I still have a long ways to go. It is honestly so cool to me that I can write my ideas down and there are people out there who care enough to read what I have to say. If that is you, then thank you so much, I really appreciate you! My first piece of advice relates to how I felt when I was first debating on even making a blog. It can be very daunting to put yourself out there and express your ideas to the world through your writing. I had never thought about this before I had to actually put it into practice. The best thing that you can do if you are feeling nervous about putting yourself out there is to just be yourself and write whatever it is that you want to write. It may take awhile for you to find your voice (I am still working to improve on this), but if you continue to try to be honest in what you write, then it will gradually get easier to write exactly what you want to say/express. My second piece of advice is to be creative with what you post because that will make things more fun! If you have a crazy idea for a post that you are really excited about, then write/ post it. Don’t worry about whether or not other blogs write posts similar to it, just write it anyways. It’s important to make you blog unique to you and not a carbon copy of someone else’s. The only way that you are going to want to continue writing on your blog is if you are writing about things that you care a lot about. If you are nominated, I would love to hear your answers, but please don’t feel obligated to do it if you don’t feel like it! When I saw what the topic was this week for Bionic Bookworm’s Top 5 Tuesday August Topics , I got so excited! There are so many side characters that I love and I am grateful that she decided to do 10 instead of 5 (I don’t think I could narrow it down to 5). I just know that I’m probably forgetting a lot of really good characters, but here are the ones I came up with…. I love Luna so much and she is one of my favorite characters in Harry Potter. She is so kind and thoughtful and not afraid to be herself. For someone who didn’t have a lot of friends before she met the golden trio, I think it is amazing how much she seems to understand people. She always tells Harry exactly what he needs to hear and never gets angry when people are mean to her. I think this one is pretty self explanatory for most people. Hermione is such a great character… she is smart, determined, kind, and many more things. When I was little, Hermione made me feel like it was ok to love books as much as I did and to want to learn (I loved school and still do). She will always be one of my favorites. There is supposed to be an accent on the “i” in his name, but I couldn’t figure out how to do that on my computer. Anyways, Fermin is from one of my favorite books of all time, The Shadow of the Wind. He has so much confidence and says the funniest things. He has no trouble saying what’s on his mind and I don’t think the book would have been quite the same without his comic relief. He is a loyal friend and would do absolutely anything to help Daniel and is one of the many reasons why you should read this book! I love Ronan. He is angry, tempered, and will say whatever he wants, but he would do anything to help out his friends. He is such a tortured character, especially since he has been through a lot and that is probably why I love him so much. Him and Adam together are great. Charlotte runs the London Institute and deals all the time with people saying that she can’t because she is a woman. I love how much of a motherly figure she is to all of the people in the Institute. I think she is one of the most honorable characters in the series. She also does something else pretty big near the end of the books, but I won’t say because of spoilers. Finnick is one of those characters who you think is going to be a bad guy at first, but then realize later on in the story that he is actually one of the best. I really loved Finnick and I think he was just such a unique character. I loved his friendship with Katniss and his love for Annie. Dan completely breaks the stereotype of the cruel and horrible stepparent. He is always so kind to Johnny and after Johnny loses his mother, Tabitha, Dan takes the role of being Johnny’s father figure. Even though Johnny wants to find out who his biological father is, Dan will always be his real dad. Without Dan in Johnny’s life, he would only have had his grandmother as a parental figure and that could have gotten a bit crazy. Oh Rudy… he is so lovable. His dreams of wanting to become a sprinter like Jesse Owens in Nazi occupied Germany made me root for him so much. He was so wonderful and Liesel was lucky to have had a friend like him. It broke my heart that he would always ask Liesel for a kiss and if you have read this book, then you know what I’m talking about. This one is a special request from my mother. I have never actually seen The Lord of the Rings films or read the books. I would like to watch the films, but I’m not so sure I can get into the books. However, I read the Hobbit and loved it! Anyways, to get off of this tangent…. she says that he is a very loyal friend to Frodo and just an overall really good person. He sounds like the type of friend that anyone would be lucky to have. So what are your thoughts on my choices? Who would you have as your top 10 favorite side characters? I have decided to participate in the Top 5 Tuesday posts that Bionic Book Worm puts on over at her blog. They look like so much fun! Here are the Top 5 Tuesday August Topics. This week’s topic is retellings and as I was thinking about what to put, I realized that I haven’t actually read that many retellings. However, I really wanted to participate, so I decided to switch things up just a little bit. In my top 5, I will have 3 retellings that I have read and 2 that I really want to read. I know this isn’t exactly how it is supposed to be done, but sometimes you gotta do what you gotta do…. When I was little, I used to be obsessed with this series. I remember that when I was reading it, they hadn’t all been released yet, so I would get super excited when a new one would come out and would beg my mom to rush me to the book store so that I could buy it. I managed to find three of the copies that I own (they are in the picture). This is about two sisters whose ancestors are the Brothers Grimm. They are sent to live with their grandma and thrust into a world full of the creatures/people from the Grimm fairytales. The sisters must take over the family business of being fairytale detectives and keeping the villains at bay. I would definitely recommend this book to an elementary school aged child who loves fairytales. The books are so fun and adventurous. This is a fairytale retelling of both Snow White and Frozen, which is such a great idea! It is a feminist version of these tales and it has a queer relationship involving one of the main characters. If you want a unique and creative retelling story, then this book is for you. I read the ARC (Advanced Readers Copy) of this book very recently and I did generally enjoy it even though I had a few issues with it. Here is the link to my full review of the ARC– ARC Review: Girls Made of Snow and Glass by Melissa Bashardoust. This book comes out September 5th 2017, so keep a lookout for it! This is a retelling of Alice in Wonderland and since I used to love the original book as a kid, I think reading a retelling of it would be really fun. I think this book deals with the grownup Alice which sounds interesting. I also know that she has another book called Lost Boy that is a retelling of Peter Pan. I would love to pick that one up too. This is another Peter Pan retelling except this one is from the point of view of Tiger Lily, the Native Chiefs daughter who lives in Neverland. I’ve been reading other people’s reviews of this one and it’s making me want to read it even more! This is a retelling of A Thousand and One Nights. I have seen it everywhere and have heard really good things. It has been on my TBR for such a long time and hopefully I will be able to get to it sometime soon. Have you read of any of these or are wanting to read them? Also, do you have any other retellings that you would recommend? I have never done a tag before and they looked fun, so I found the Reading Habits tag. Hopefully, with this tag, you guys can get to know me a little bit better. I know that every reader is different and has different reading habits so here are mine….enjoy! Do you have a certain place at home for reading? I have three places at my house that I always end up reading and they include my bed if it is at night, the living room couch if nobody is home (otherwise it can get loud), and the front porch if people are home and it’s not freezing. Bookmark or Random Piece of Paper? I would totally use a bookmark if I had some and they were easy to grab when I needed them. However, in reality, I use anything from scraps of papers to old rubber bands to mark my books. I just use whatever I can find and don’t give it much thought! Can you just stop reading or do you have to stop after a chapter/ a certain amount of pages? I sometimes like to try to finish the chapter I’m on before I stop, but its not a big deal if I don’t. The exception to this is if I am in a really really good part. Then I don’t want to stop for anything! Do you eat or drink while reading? I really like having tea by me to drink while I read, but I can’t eat and read at the same time. That is too much multitasking for me to handle! Anything with words being said will distract me and I won’t be able to read. I do occasionally like to listen to music without words while reading though. 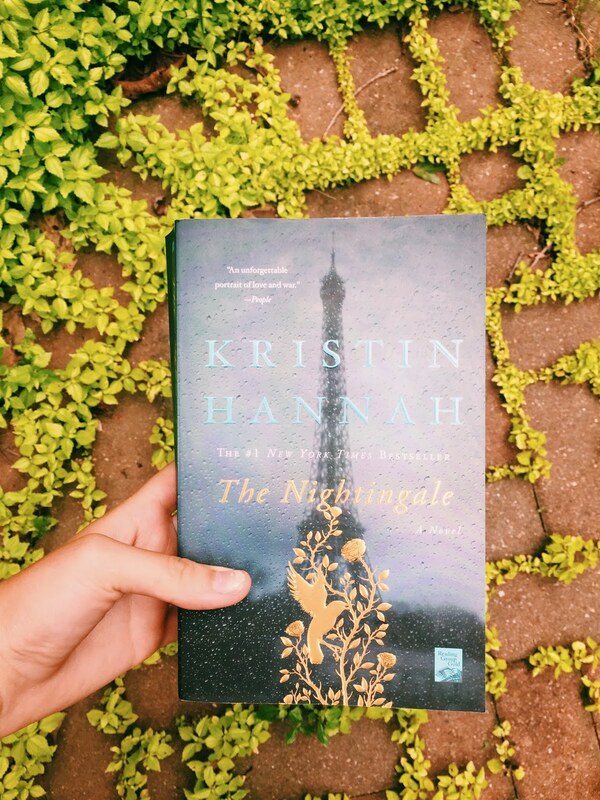 I actually have a post called Beautiful, Wordless Music for Reading and Studying that has some of my favorites for when I want to read with some background noise. One Book at a Time or Several at Once? A lot of the time I’m only reading one at a time, but on occasion I will pick up two. Reading at home or everywhere? I can read anywhere! I don’t know how else I would be able to get a lot of reading time in. Do you read ahead or even skip pages? I can honestly say that I don’t do this! Breaking a spine or keeping it like new? If the spine is broken so much that its hard to read, then no. But if it is only broken a little, then I think it has just been well loved! Do you write in your books? Not in library books or e-books of course, but sometimes I make notes in the books I own. I don’t mind people writing in books. I think its fun to get used books and see that somebody else has written a little note about a line that they liked/disliked. Its kind of like a secret message system. I had way too much fun making this tag! If you think you would have fun doing it too, then consider yourself tagged. I’d love to see what other people’s responses are to these questions, so let me know if you decide to do it!